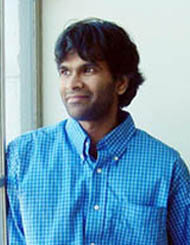 Sendhil Mullainathan is a University Professor, Professor of Computation and Behavioral Science, and George C. Tiao Faculty Fellow at Chicago Booth. He is the recipient of a MacArthur "genius" award and has conducted a randomized evaluation of racial bias in hiring in the US. He has also examined the impact of cash transfers to the elderly in South Africa. Evidence-based development: A trend whose time has come? 'Black' Names A Resume Burden? Why Don't People Insure Late Life Consumption in the United States? Debt Traps? Market Vendors and Moneylender Debt in India and the Philippines.